Our Mana Pools 4-Day Canoe Getaway takes full advantage of dry season (during April to November) when the internal water pans dry out and the animals flock to the Zambezi River to drink. 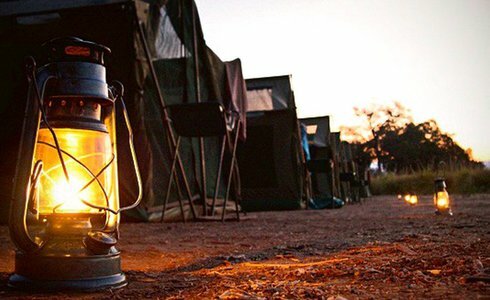 This unforgettable 3-night 4-day journey sees you floating from camp to camp through a majestic and magical part of Zimbabwe's most remote expanses, the Mana Pools National Park. Because the area boasts one of the highest concentrations of wildlife, you can expect a rewarding experience packed with a variety of sights, big prey and swarming birdlife. You will arrive in sunny Zimbabwe and take a leisurely game drive through the Mana Pools floodplain to your campsite, Vundu. Here you will be welcomed with a multitude of smiles and a refreshing lunch break. Your meal is followed with a short drive to the canoe launch area, near the confluence of the Ruckomechi and Zambezi rivers. After a short safety and steering briefing from your river rafting guide, you'll be ready to take on the open waters in your Canadian-style canoe. Essentials you need to including in your packing are sun block, a hat, binoculars. We also highly recommend that you bring a camera. Your first outing downstream will feature plenty of photo-worthy moments expect to see hippo, buffalo, elephant, crocodile and a variety of other species. 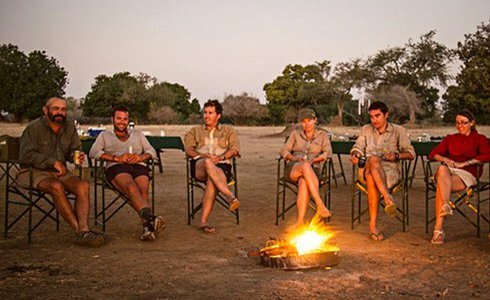 Your first day will conclude with relaxing sundowners and three-course dinner around a campfire. You wake up at dawn and meet up with your fellow adventurers around a campfire for tea, freshly brewed coffee, muffins and homemade biscuits. Afterwards you will have the opportunity to watch Africa wake up with a golden sunrise over the enchanting river waters. Breakfast takes place under a grove of acacia trees where you will have the chance to walk on the floodplain and surrounding woodlands. This is a great time to try and view predators before they hide-up for the day. You may even be lucky enough to spot one or more of the diurnal animals making their way down to the river. Returning to the canoes, guests head downstream to an area renowned for its huge, old elephant bulls. The late afternoon and evening is spent drifting down to Camp Chessa, which overlooks a small channel with a large grass plain. You enter the remote “Wilderness Area” of Mana Pools National Park where there is limited access to people and vehicles. The only road is three to five kilometres inland, and the very same our support team uses. Breakfast is taken on the Mbera River floodplain. Expect stunning acacia woodlands with large patches of thick grass - a habitat favored by all the predators. Towards the end of the dry season, it also hosts large groups of female elephants with their babies. 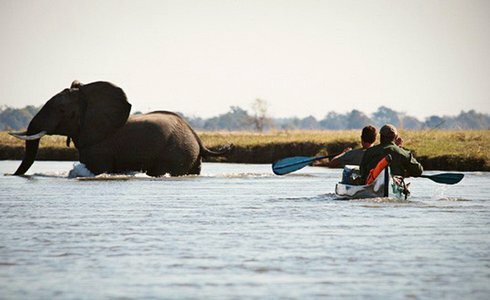 You'll spend the day paddling through a maze of channels joining the main Zambezi. Lunch is a romantic affair on the shallow sandbanks in the middle of the river -where a table and chairs are set up in ankle deep water. Depending on water levels and time allowed, there may be an opportunity to explore Chikwenya Island on foot. This unique island is the largest on this section of the river and is host to prolific bird life as well as a number of interesting mammal species. In the afternoon you will paddle into rustic Illala Camp. Depending on your departure time, an early morning walk before breakfast is possible, or a well deserved lie in. After which, there will be a short game drive to the airstrip or Nyamepi main camp where we will bid you farewell. If you would like to stay a little longer and make your trip that extra bit more special, we would love to extend your safari with a one-night stay at Camp Zambezi. 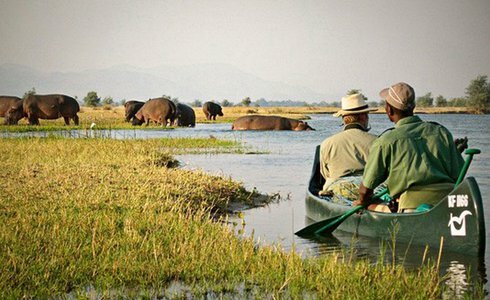 Please note that canoe safaris depart each week on Mondays, Tuesdays, Fridays and Saturdays and are three-night safaris with half a day on either side. Costs do not include national parks fees which are payable directly to parks en-route. Please ask your consultant for the fee before travel. This travel itinerary is a guideline and may change due to unforeseen circumstances i.e. weather conditions.